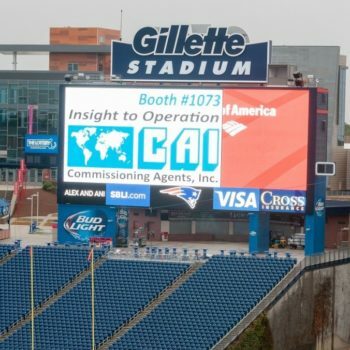 Your logo is sure to get attention when it is rotating at the After Party at the Optum Field Lounge on Gillette Stadium’s Jumbotron screens over the Patriots end zones! 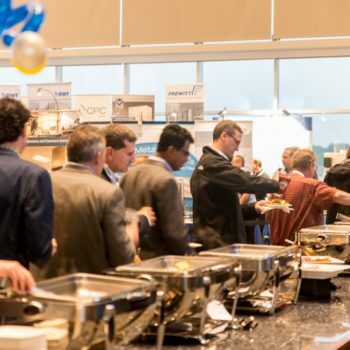 Sponsor is responsible for the production and submission of their file to ISPE Boston by August 5th. 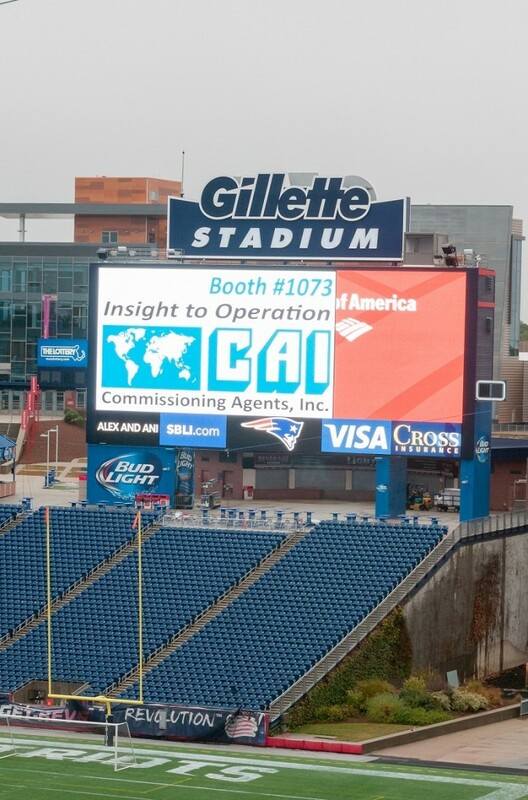 Jumbotron files must be 1280 pixels wide x 720 pixels high and must be a high resolution JPG image (no white backgrounds please). Available for up to 4 companies.